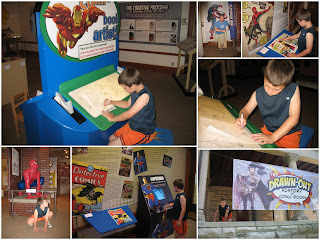 Jake and Jay went to an exhibit about the history of comic books last weekend. They had a good time checking out all the old comics, drawing characters and posing like their favorite super hero. Awesome! Love the picture of Jay! Ha! Ha!